Due to passage of Proposition 30, the tax rate for 2012 income in California is 13.3% for taxpayers with state taxable income in excess of $250,000. This change from the November 6, 2012 election is retroactive to income earned for the full year, since January 1, 2012. 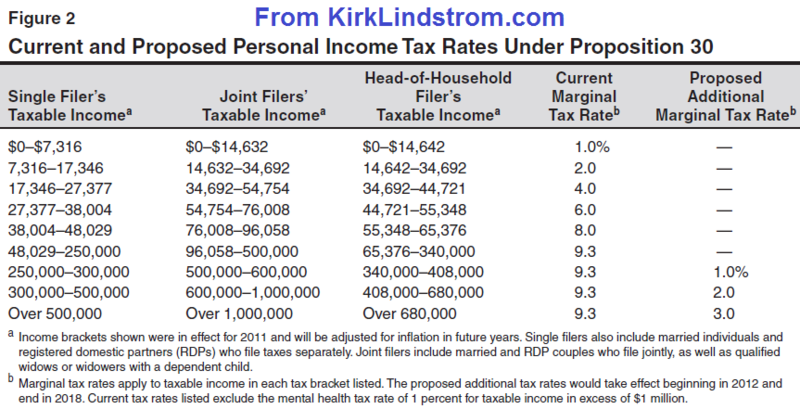 Here is a summary of 2012 and 2013 California tax rates. State sales tax rates are also increasing another .25%, up to a new base-level sales tax rate of 7.5% (before county/city tax) for every California taxpayer beginning January 1, 2013. Even the poor get to enjoy this portion of Prop 30. 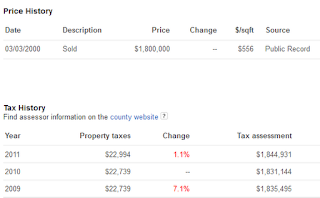 In Santa Clara County, where I live, the current sales tax rate is 8.375%. This goes up to 8.675% on January 1, 2013. Don't forget property taxes. 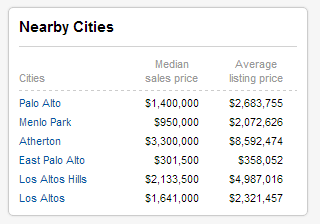 You will probably pay $15,000 to $25,000 a year in property taxes if you buy a home in Cupertino, Los Altos or Palo Alto, cities with top schools. 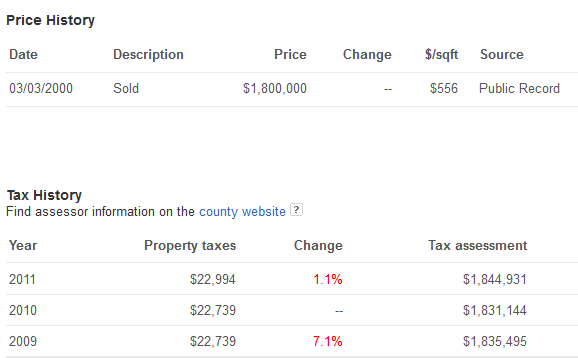 This "average home" in Santa Clara County will have property taxes of about $10,000 in 2013!